This paper is devoted to the online dominating set problem and its variants. 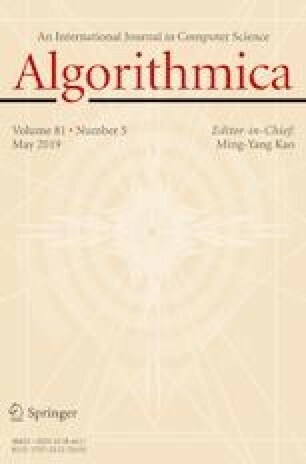 We believe the paper represents the first systematic study of the effect of two limitations of online algorithms: making irrevocable decisions while not knowing the future, and being incremental, i.e., having to maintain solutions to all prefixes of the input. This is quantified through competitive analyses of online algorithms against two optimal algorithms, both knowing the entire input, but only one having to be incremental. We also consider the competitive ratio of the weaker of the two optimal algorithms against the other. We consider important graph classes, distinguishing between connected and not necessarily connected graphs. For the classic graph classes of trees, bipartite, planar, and general graphs, we obtain tight results in almost all cases. We also derive upper and lower bounds for the class of bounded-degree graphs. From these analyses, we get detailed information regarding the significance of the necessary requirement that online algorithms be incremental. In some cases, having to be incremental fully accounts for the online algorithm’s disadvantage. A preliminary version of this paper appeared in the 15th Scandinavian Symposium and Workshops on Algorithm Theory (SWAT), LIPIcs, vol. 53, Schloss Dagstuhl - Leibniz-Zentrum für Informatik, 2016, pp. 21:1–21:15. Most of the work was done while the fourth author was at the University of Southern Denmark. The first, third, fourth, and fifth authors were supported in part by the Danish Council for Independent Research, Natural Sciences, grants DFF-1323-00247 and DFF-7014-00041, and the Villum Foundation, grant VKR023219. The authors would like to thank an anonymous referee for constructive suggestions.